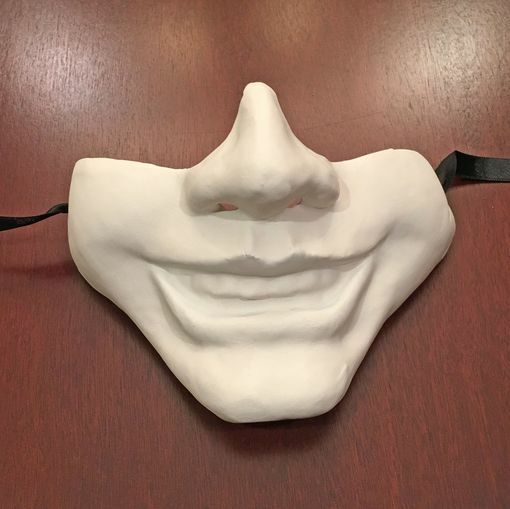 Joker half mask is hand sculpted out of authentic paper mache. Mask is primed and reading to paint. Comes with black ribbon tie. Size 6.5" x 5"